Sweet! 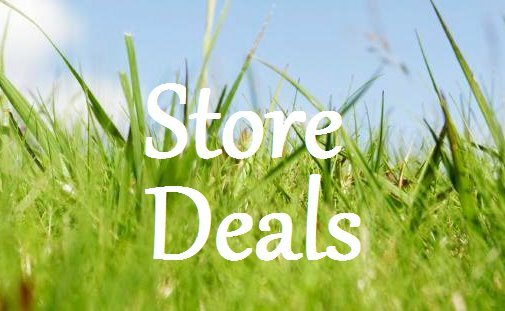 Get up to 40% off Select Items at shopDisney! Different items are marked different so if the item description says you'll get 20% off, use code MERRY20. If it's 30% off, use code MERRY30 and if it's 40% off, use code MERRY40. 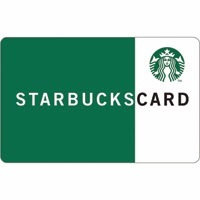 This offer expires TODAY 12/14!! 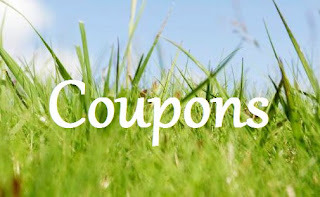 You'll also score FREE S&H when you spend $75 or more with code SHIPMAGIC. 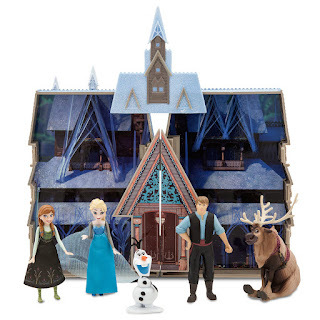 They also have several play sets that are $10.46 after the 30% code is applied! I bought the Mickey Mouse Christmas Carol set and I'm going to try to make them into Christmas tree ornaments using these eye hooks. Wish me luck!! 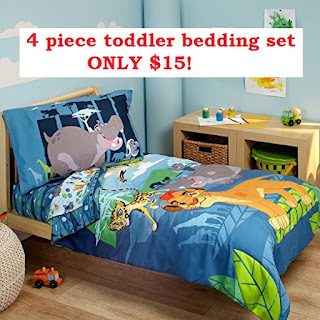 Amazon: 4 Piece Disney Lion Guard Toddler Bedding Set for $14.99! Sweet! Amazon has the Disney Lion Guard Prideland Adventures 4 Piece Toddler Bedding Set marked down for only $14.99! I've been keeping an eye on this one and this is the cheapest it has ever been. We've had the Mickey Mouse set for the last few months and couldn't be happier with our purchase. The set includes a quilted bedspread, fitted bottom sheet, flat top sheet and standard size pillowcase, and it fits a standard size toddler/crib mattress. They also have the Madagascar 4 piece set for $20.29 and Finding Dory for $19.99. 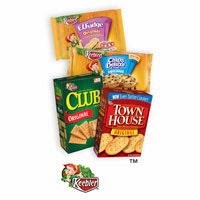 New Kellogg's Family Rewards Code! 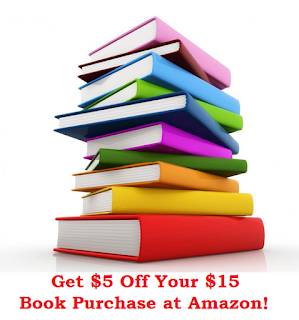 Get $5 Off Your $15 Book Purchase at Amazon!! 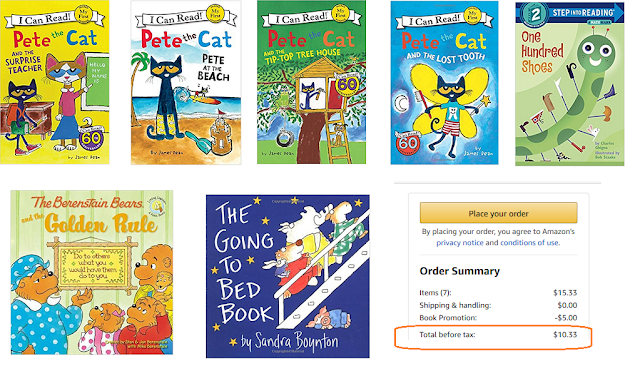 Get $5 off when you buy $15 worth of books at Amazon! Simply enter promo code "BOOKGIFT17" at checkout under the "Gift cards & promotional codes" field. Offer expires 12/14/17. As always, you'll get FREE S&H on orders over $25 or if you have an Amazon Prime membership. 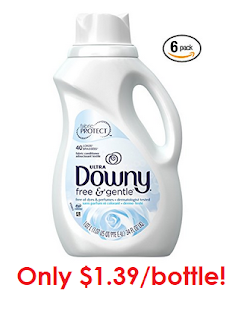 Get SIX Bottles of Downy Free & Gentle Liquid Fabric Conditioner for as low as $8.32 SHIPPED! 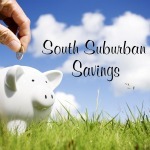 If you have other S&S subscriptions, your discount will go from 5% off to 15% off and your total will be $8.32!